I'm told these are peonies, but should I clear the little green leaves around them? 4th image looks like a sedum. No, no special care (unless they are in a wet spot, which most sedums hate, but this one looks pretty happy), they are quite easy to maintain. 5th image looks like delphinium. If it's the giant variety it will get a tall flowering spike that would benefit from staking so it doesn't crash under its own weight. Where I live (Great Lakes area) they reseed themselves freely, so if you don't want delphiniums everywhere, remove the spent flower stalks and discard. 6th image - yeah, the red sprouts do look like peonies, and they're crowded by what look like violets or wild violas. I'd remove these, yes. Those are the ones I'm pretty sure of! Hi Smokey Is it a garden you have recently taken on? Looks like some nice plants in there. 1) Aconites. Possibly Delphinium but I am pretty sure Aconites. Just be aware that the whole plant is poisonous. Always wear gloves when working around it. 4)Sedum. There are many forms. Won't know which you have until it is full size and flowering. 5) At first I thought Delphinium but it could be a hardy Geranium or a different form of Aconite. Any chance of a picture at more of a distance? 6) Yes Peonies. Don't remove too much of the plant growing around it. I have violas growing and that is not the leaf shape. Take just enough away to stop them choking the peonies and wait and see what flower (if any) they produce. Achillea possibly? Hard to tell until it is a little bigger. You need to do nothing but weed and water at present. Once you can say for definite what each plant is you can read up on their needs. Haha! Obviously when you do this....8....and this...)....together you get this! I'd say that the second one is a plantain growing in your lawn. Quite common. Yes, we just purchased this home and the nice weather is allowing us to see what we're in store for in the backyard. There are also fruit trees. I'm pretty sure there's a choke cherry, a pin cherry, a plum, a pear and various apples trees. And some young lilacs as well. Oh and asparagus. I've been told it can take years for those to establish. I can take more shots of the 5th one. I'm in agreement with Trentt and Jess on everything they stated so far, I think Trentt had it on the peonies, with wild violets growing underneath. I have a friend who loves these (wild violets), but they can become invasive. I'm wondering if the third photo may be of raspberries. I googled and found some photos that looked like it, but I'm not sure. My mom inherited a raspberry garden and at first glance that's what I thought it might be. I'm wondering if the last photo could be a low-growing sedum (stonecrop variety). Jess may be right about the achillea, I'm just curious because of the height. Also maybe a dwarf goldenrod, you may want to google either of those. Of course, I'm no expert just guessing.....looks like you'll have your hands full, promises to be very rewarding. Keep us posted on the results! I think this is some kind of artemesia, but I'm used to looking for blue grey ones. Not sure what this is, but let it grow, see what you get. It will always be interesting. this is a shrub. I want to say spirea, but that isn't it. I see them all over down here right now. Tim Horton's and a lot of institutional buildings plant them around them. definetly sedum. Depends on how tall they are and what colour flower they get. if they are less then 2.5 inch then I'd say they are groundcover. don't think this is achillea. too early for that to be up and blooming. 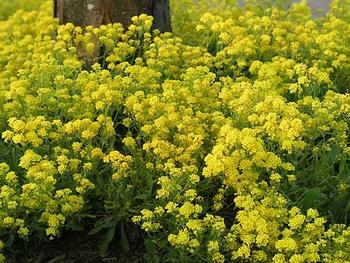 Mustard weed? 1) I think Jess hit it on the head with Aconitum. Shot in the dark but possibly A. lycoctonum? 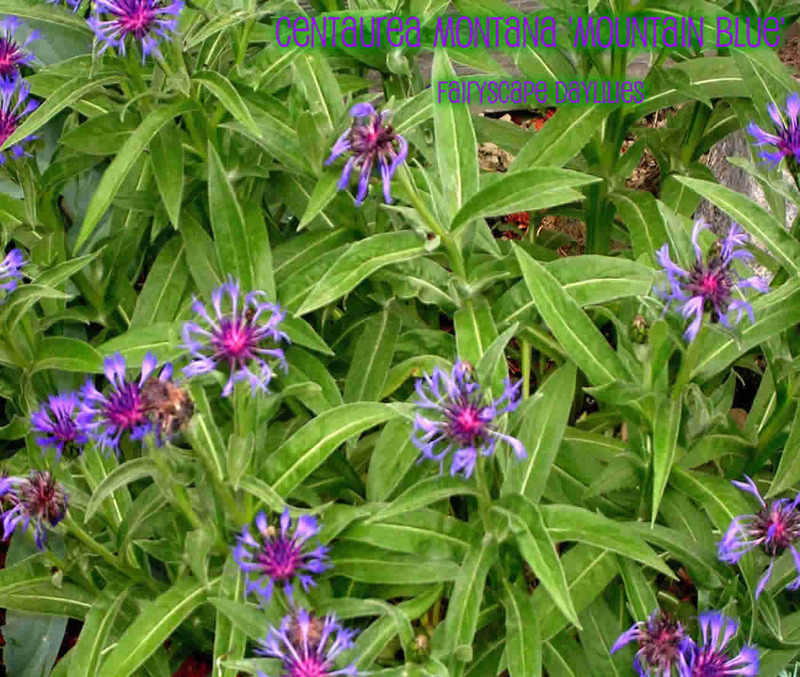 2) Gut says might not be a Centaurea. Please post more photos and the undersides of the leaves would be nice. Might not even be able to tell with those photos and may have to wait until it blooms. 3) Pretty sure you have Humulus japonicus, I can assure you that you want this gone. Hand pull it, it's an annual and you can start pulling it now. You don't want this to go to seed if at all possible. This is a noxious weed and an invasive species. 5) Geranium maculatum or a sport of G. maculatum? 6) Haven't a clue which peony. If the plant you have is Barbarea vulgaris, you definitely don't want that as that's a noxious weed and an invasive species. 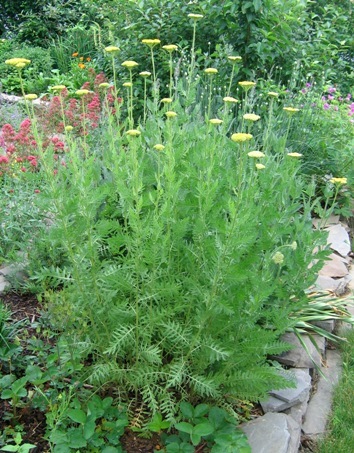 8) Achillea millefolium var. millefolium? Could really use better photos on this. See if it blooms white. This may be another one that you probably won't want to have to deal with. Hey I figured out embedding the images! Ok, another photo of the second image. The leaves are the same on top and bottom. There are 2 clumps, about 1m apart from each other. A note about the 3rd one that everyone seems to think is invasive. I found a lone vine that had wound it's way all the way up the apple tree next to the perennial bed. Does that help at all? The seventh one now. These are contained to one bed on the back wall of the house. Now two more of the 8th picture. It looks to me like someone pruned it back. I also went to the raspberry patch at the back and discovered some rhubarb as well. There are a lot of these in the main perennial bed. I'm wondering if they are weeds. And this is growing on the fence. No 2 might be Lychnis if not Centaurea. They both have felty leaves. Take no notice of the clump picture on that link. That is not a healthy looking plant. Look at the pictures of the leaf structure and see what you think. The basal leaves are not as silver on some forms. 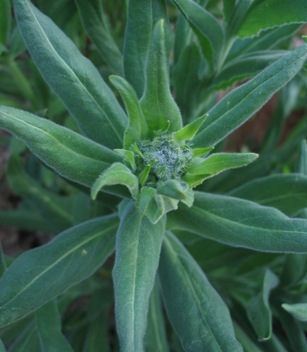 and the Achilleahttp://www.robsplants.com/plants/AchilFilip.php especially now you are showing where it was cut back. Whoever had the garden before seems to have looked after it pretty well. The one growing on the fence is a ground cover sedum, again, not sure which until it flowers. Lychnis seems to be a good possibility for #2 but there are still a few others that could be. Much nicer photos of #7, pretty sure that's Aurinia saxatilis (An Alyssum) and it's a weed here on North America. Regarding the Sedum in the second set of photos, might be S. telephium or maybe S. spectabile. Too many varieties in both of those to help you much more than that if I even came close anyway. I see from your photos you have some mighty fine Taraxacum officinale... tee he... you and everyone else! As far as getting help identifying plants, please try your best to show leaf arrangement as well as a concise photo of the leaves. Leaves frequently differ from top to bottom and photographing any and all that are representative is best. This may mean you need to photograph a few leaves on a dark background. It is also good to get a clear photos of the stem illustrating how the leaves attach and the base of the plant can be very helpful too. If a person is standing in front of a plant, they are able to start the process of elimination in their mind by moving from plant part to plant part to plant part but when they're trying from a photo it's sort of the equivalent of the 7 blind men and the elephant. People online don't have the benefit of being able to have the plant physically in front of them and there are far too many look-alikes out there not to mention most plants aren't in bloom when people want to try to figure out what they are. I bite my nails myself trying to figure out some of the plants that pop up over here and let several highly invasive plants go too long and have definitely ripped out desirable species accidentally based on not sending out enough photos to friends to help me identify what exactly it was I found. I have some thoughts on the last two based on plants I've seen growing way up north which wouldn't make sense because you're way south somewhere in Louisiana or Texas right? Need to know exactly where in the US Thunder Bay is please. Tee he, we're both in luck then because it started raining and I came inside. I'm done digging holes for the day so go ahead and please get me any other photos you can take to go with those last two plants and lets see if my thoughts are even close to being on the money. If I'm close, one's a weed and one's desirable. Could be worse, both could be weeds which is often the case when a garden hasn't been tended in a long time. You would gasp for air if you saw the condition of some of the landscapes of homes people move into around here. Thunder Bay is in Ontario, eh! Well, I got the right continent! Here's hoping I'm better with plant identification than I am with geography. The other plant is one I believe I've also seen up north and specifically in the state of Michigan and I recall trying to figure out what it was several years ago and got help with the identification and I think it was desirable. One problem, I can't remember what it was. Don't yank that one yet or you might be sorry. I really think you're going to have to get more photos on that one and even then it might not be able to be identified until it blooms.